While I’m confident you’ve heard of yogurt, you may not have heard of kefir – yogurt’s overlooked, underappreciated cousin. So today we're going to share everything you need to know about milk kefir and diabetes. In recent years, kefir has taken the world by storm as one of those ‘new' superfoods. Yet, while it might seem a new health ‘fad’ in the Western world, kefir is actually a very ancient fermented product originating in the Caucasus Mountains – a mountain range located in Eurasia between the Black Sea and the Caspian Sea. Note: the info below refers to MILK kefir and it's benefits for type 2 diabetes. Water kefir is a very different product with different health benefits so we will cover it in another separate article. Kefir (pronounced ke-FEER) is a cultured milk product, similar to yogurt. It is made by adding ‘grains’ to animal milk, which ferment the product. Traditionally cow or goat’s milk was used, although special ‘grains' have been developed to make kefir even from coconut milk. These ‘grains’ are not like wheat or oats–they don’t have any carbs. Instead they are a matrix of bacteria, yeast, protein, lipids and sugars that look like cauliflower but feel squishy and gelatinous. The grains are put into fresh milk and left to sit at room temperature for 24 hours or so until a sour, tangy, thick (and slightly alcoholic) beverage is produced. During this time, the sugar (lactose) in the milk is fermented and converted to lactic acid. 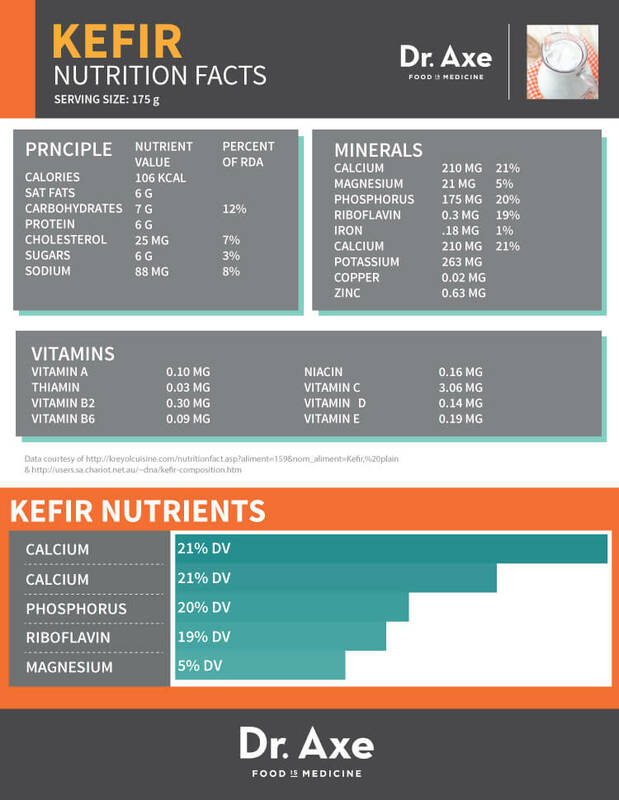 The nutrition of milk kefir will vary depending on what type of milk is used – goats vs cows; skim vs 2% vs whole. Milk kefir is an excellent source of calcium and phosphorus (20%), a good source of vitamin D, and it provides some other trace minerals such as magnesium, vitamin B2, and vitamin B12. It does contain many essential amino acids and CLA (conjugated linoleic acid) as well. However, the unique key feature of milk kefir lies in its probiotic content. Organic acids and bioactive compounds produced through fermentation cultivate healthy gut bacteria that helps with digestion and overall well-being. The particular types of bacteria and amounts will vary from batch to batch and on the specific variety of grains used to culture it. Milk kefir is extremely good for promoting gut health, which supports overall better health as a consequence. Milk kefir is far superior to water kefir in terms of probiotic potency and also contains protein and fat to balance out any blood glucose response that may occur. Kefir will have a similar nutritional profile to the milk it was cultured from with a slightly lower sugar content because the lactose has been converted into lactic acid. This may not be evident on the label because of the way the FDA mandates labeling, which doesn’t account for the fermentation that occurs, but is measurable in a lab. Much of the byproducts of fermentation are not reflected in the standard nutrition facts labels. Additionally, kefir will be very similar to yogurt in texture, but with a thinner consistency. The main difference is the probiotic benefits present in kefir. Compared to yogurt, kefir has way more strains of beneficial bacteria and yeasts. In fact, there are no beneficial yeasts in yogurt at all. ‘Name brand' store bought yogurt usually has only 2 or so strains, the really good stuff may have up to seven. Compare that with Kefir which can have up to 50 strains! Milk kefir contains up to 50 strains of beneficial bacteria and yeasts. There is no way to guarantee the amount or type of probiotic content in kefir, as every strain will be different. Fermentation can be affected by a multitude of variables – time, temperature, milk quality and quantity – so when making it at home, it is important to ensure you are confident about the source of your kefir grains. 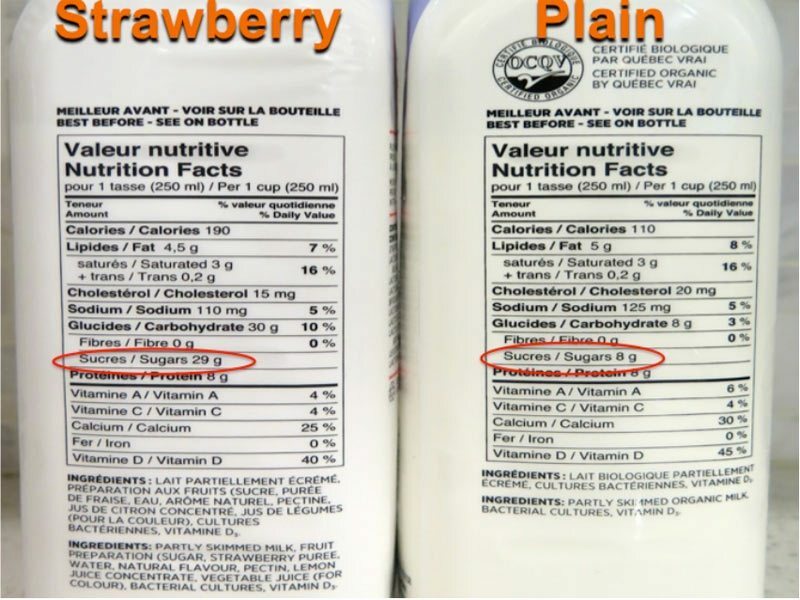 Be careful about flavored kefir as this almost always means added sugar! While milk kefir boasts of a multitude of health benefits, keep in mind that it is not a cure-all potion, nor is there evidence to support claims that it will heal diseases. Be aware that most flavored kefir sold in stores, like yogurt, will have varying levels of sugar added for flavor. Check the list of ingredients to see what has been added (see above). Plain kefir offers much better benefits than sugar sweetened varieties. Kefir with low fat or fat free milk will be much thinner and the kefir grains will weaken over time, whereas kefir made with whole milk will be thick, rich and creamy. Additionally, goats milk and raw milk will result in a thinner final product. Though kefir is not 100% free of lactose, it is vastly reduced and well tolerated by those with lactase deficiency. Traditional kefir grains will only culture true dairy milk. If you want to make kefir using coconut milk or other dairy free versions, you have to follow specific instructions and purchase kefir grains suited to that milk. Never let kefir grains come in contact with metal, which can damage the matrix. Kefir has antimicrobial, immune strengthening properties and helps to improve digestion – all of which help promote better outcomes for diabetics. In addition it has shown to be beneficial in preventing gastrointestinal disease and treating traveler's diarrhea. Kefir contains probiotic strains that may prevent excess weight gain, alleviate obesity and even improve mental health. A randomized, double-blind placebo controlled study (the highest form of study) demonstrated improved blood sugar control in people with type 2 diabetes who drank 600 mL kefir daily compared with diabetics who drank the same amount of normal milk. Finally, kefir may help improve bone density and prevent onset of osteoporosis. Kefir has some great health benefits – improved gut health, immune strengthener, prevents weight gain, improves blood glucose, cholesterol and bone density. So What's the Deal on Milk Kefir and Diabetes? Kefir can be taken as a drink on it’s own or blended into smoothies. 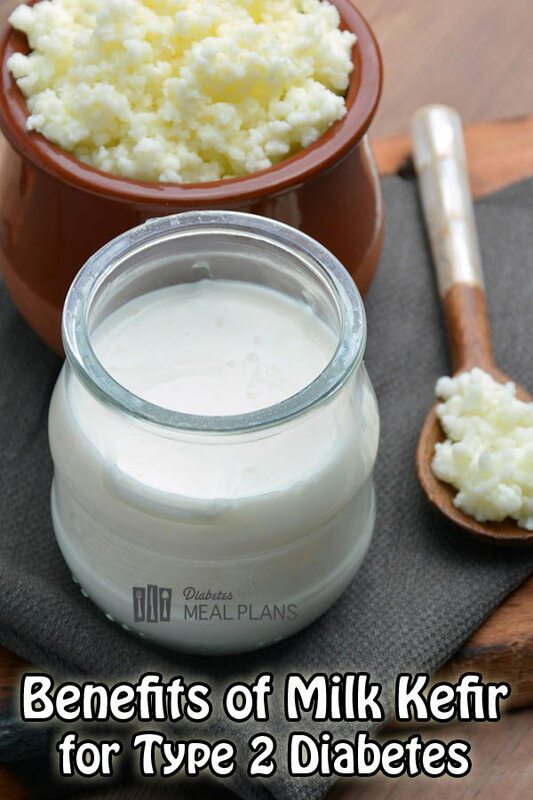 Avoid adding kefir to products that are cooked as the heat will destroy the probiotic bacteria. To make your own kefir (which is remarkably easy), you simply remove the grains and put them in fresh milk each day, drinking the finished batch or saving for later. 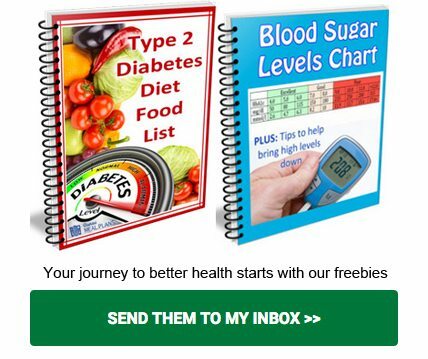 You can obtain extra grains from a friend you know and trust or purchase a starter kit online. Finally, keep in mind, milk kefir (especially homemade) has a very unique sour taste that takes some getting used to, especially if your palate is accustomed to sweet foods. Drinking 6-8 oz milk kefir daily, when incorporated into a healthy balanced meal plan is likely to be a great ‘moderate carb' beverage for those with type 2 diabetes. Have you tried milk kefir? What do you think? Please pin, tweet or share this info. Thanks. Thanks Deb, we’ll update that info. I don’t think your comment about kefir being damaged by coming into contact with metal is 100% accurate. I’ve read many times that you can use stainless steel without a problem. Can you verify one way or the other ? Hi Paula, I’ve never actually made kefir myself so I cannot comment from experience. From what I’ve always read, you want to minimize any metal contact as much as possible. I have used grains for raw milk kefir and I do prefer it to the boxed Omega Nutrition Kefir (milk starter powder). Does it offer the same high number of bacteria as the grains? The powder has less strains of bacteria compared to the grains. Is there any carb info on kefir cheese. I am assuming that it is like cream cheese. Sugars eaten in fermentation process. I just joined DMP and am currently having 1 6oz glass of homemade kefir mixed with whey protein powder and 1 8oz bowl of i guess kefir cheese. I think it makes a wonderful sub for greek yogurt. Also an 8oz glass of home made kombucha. Hope i’m doing the right thing. Trying to find carb count on these so as to keep on program. 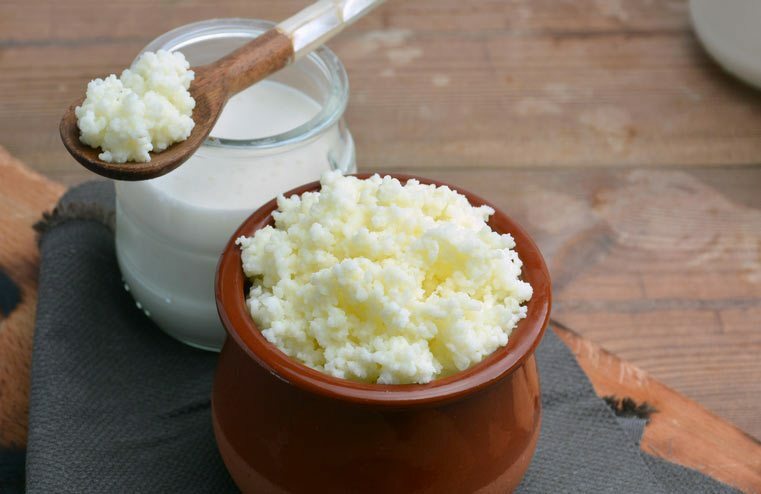 A couple of tablespoons of kefir cheese only contains around 2 grams of carbs. You can find info on water kefir over here and decide for yourself Marc. I have been drinking home made Kefir (I used a starter kit) since May2017 . I have suffered with clinical depression for 22 years. It has affected my life in many ways. I became aware of this amazing drink after watching a TV program. It has improved my mood immensely and with medical supervision have been able to reduce my antidepressant medication. This has had amazing knock on effect, I walk more, go out more and in general I feel much, much more lively. In March this year I suffered a blip with my depression and I need additional meds to help me through. Now my meds are at the lowest they have ever been. this might be nothing to do with drinking Keifir but it’s the only thing I’ve done differently. Whether it’s the kefir or not, it’s great to hear you’re on a positive track Heidi! I have eaten Kefir and like Its taste. i also have eaten in India, a similar product called Dahi it is Available in large urban Centres and Indian stores. Is dahi the same as kafir? I was told by my doctor not to eat milk products as they have sugars which will impact my blood sugar levels. I’m not very familiar with Dahi, but seems it is a type of yogurt–which is similar to kefir, but difference in viscosity, taste and probiotic content. It has similar health benefits to yogurt, but avoid sweetened versions which will be high in sugar. Milk products vary widely in sugar content–milk itself has a moderate amount of lactose (a ‘non sweet’ natural sugar), much of which is consumed by beneficial bacteria during fermentation, so that yogurt and kefir are much lower in sugar than milk itself. Greek yogurt has the whey (which contains much of the lactose) strained off which makes it even lower. Just be sure your yogurt/kefir/dahi doesn’t have any ADDED sugars or sweetened/flavored, and of course, as with anything, be conscious of portions/amounts.